The Cutest Mini Christmas Cakes Ever! 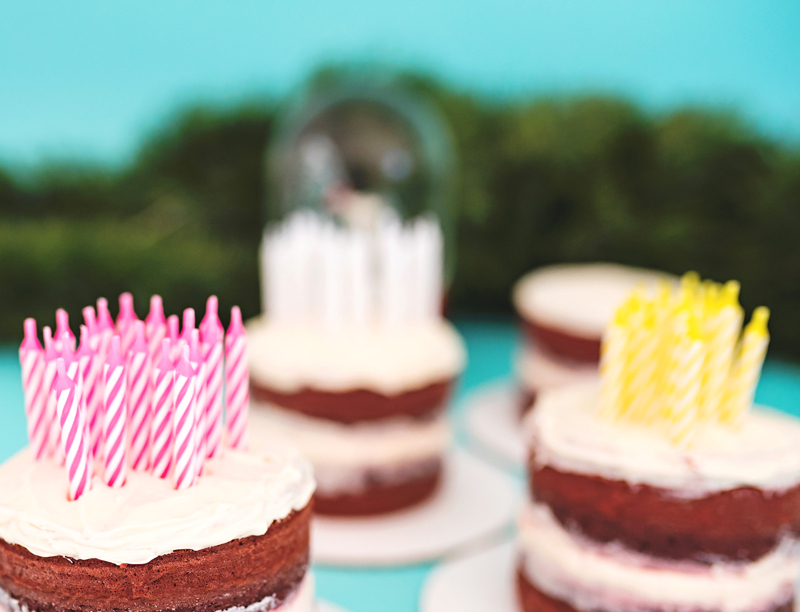 When it comes to cake, mini cakes are all the better! 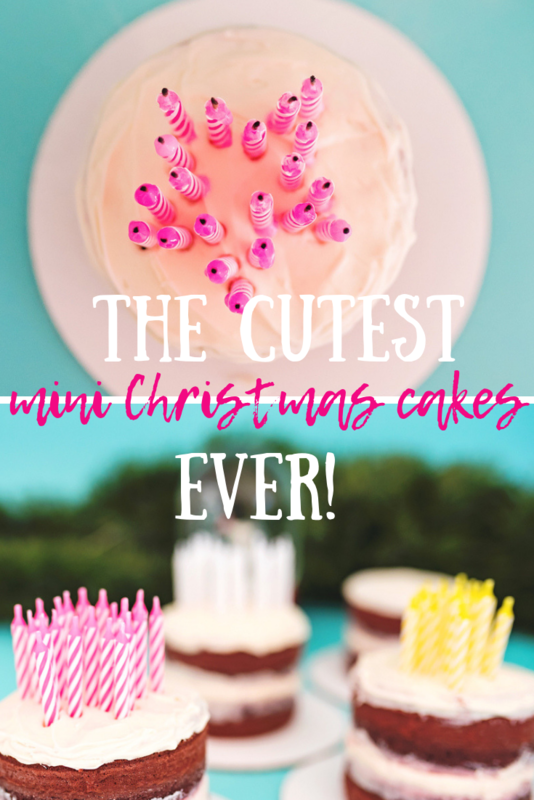 That’s why these mini Christmas cakes are the cutest and most delicious little holiday treats ever! 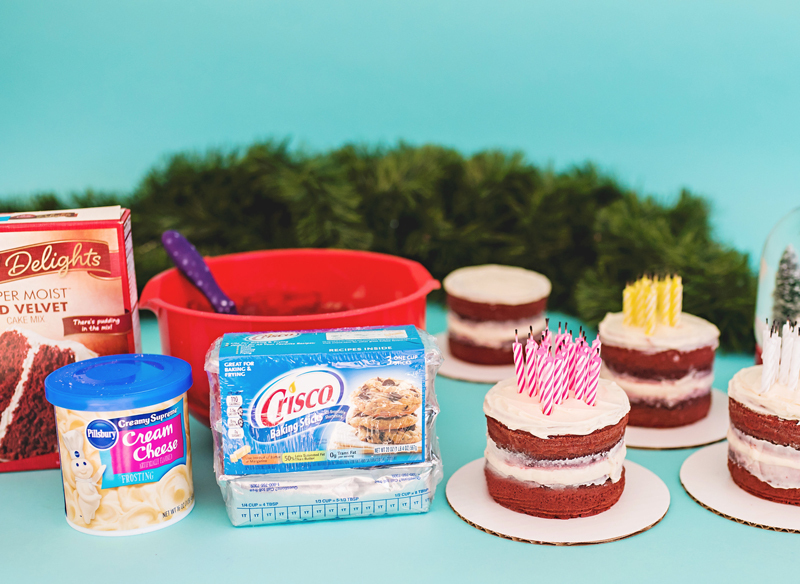 See how we created these mini cakes using our favorite cake recipe and the fun festive candles! When we turned 30 I made a pretty large match display to light up and every since then I’ve been excited to make candles talk. It’s always fun to put candles on a cake, but when they can say a word or take a shape that is even better! For the holidays, serving candles in festive shapes can be an easy way to take a simple recipe and make the cutest mini Christmas cakes ever! Stars, Christmas trees, the word JOY – everything’s just more fabulous when said with a flame. Taking the simple and making it sparkle is what our holiday mentality is all about. 1. Mix the cakes according to the package directions replacing the butter in equal amounts with Crisco® All-Vegetable Shortening. Beat until well combined. 2. 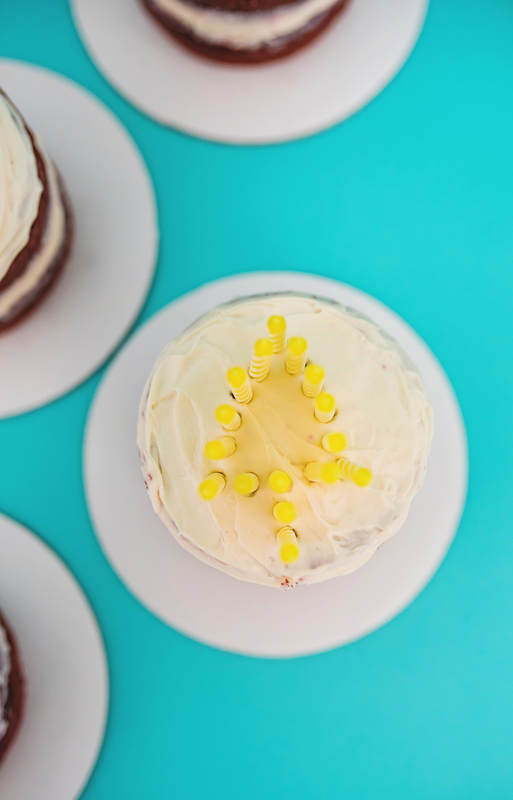 Bake each cake in a small 5-inch cake pan and top with frosting before stacking the cakes to get our mini-layered cake effect. 3. 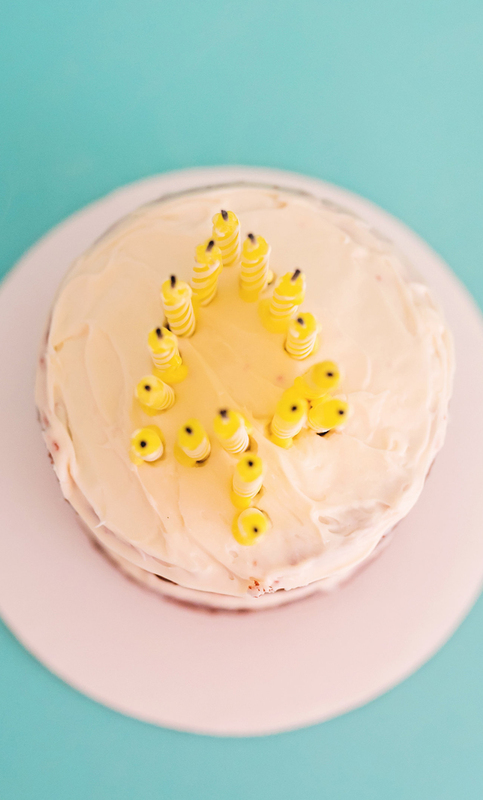 Top the cakes with candles mimicking your favorite holiday shapes. Using a toothpick to mark the candle spots is a great way to be sure your design of the shapes is accurate. Once the design is the way you’d like it, place the candles in place. Light up for a holiday dessert spread that is beautifully bright with these mini Christmas cakes! Let us know in the comments some of your favorite holiday treats are! Do you like making cookies, cakes or candy? 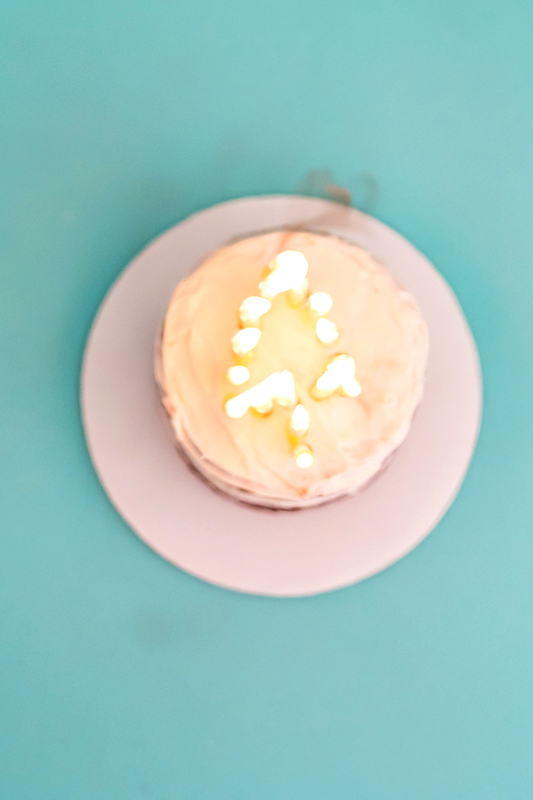 Here are a couple of our favorite festive treats, A Christmas tree cupcake, and Cranberries on a Christmas cake. Crisco® All-Vegetable Shortening is a great alternative to butter, with 50% less saturated fat and zero grams trans-fat per serving. 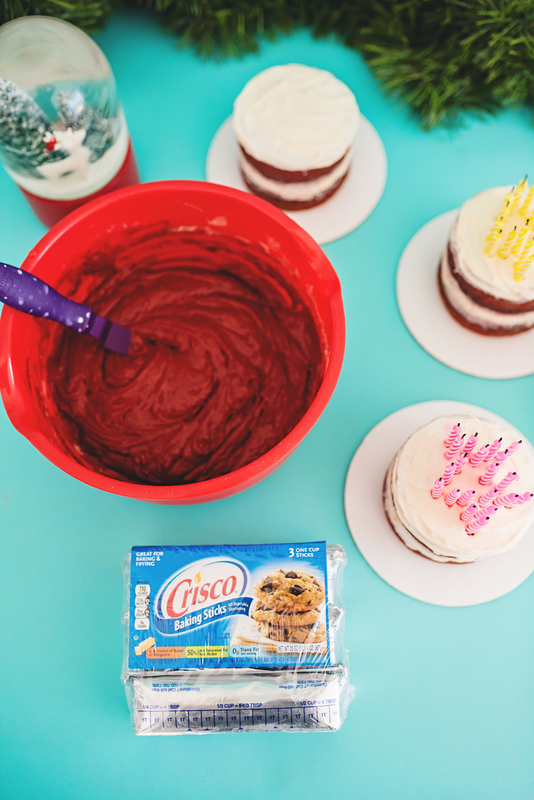 Discover more recipes by visiting Crisco® on Facebook and Pinterest. Be sure to visit the Crisco Brand Page on sheknowsmedia.com where you can read other bloggers’ posts! (Photography ©A Subtle Revelry by Erin Holland). This cake is too delicious. I tried and succeeded. Thank you! Such a really its too god. I really love to have it once. I’ll try it at home. Thanks for shearing that recipe. This is an excellent post I seen, Thanks to share it. It is really what I wanted to see hope in future you will continue for sharing such an amazing post.